With the dramtic expansion of global e-markets, companies collaborate more and more in order to streamline their supply chains. Companies often form coalitions to reach the critical mass required to bid on a large volume or wide ranges of products. Meanwhile, they also compete with one another for market shares. Because of the complex relationships among companies, controlling the access to shared information found in e-markets is a challenging task. Currently, there is a lack of comprehensive approach in access control that can be used to maintain data security in e-markets. We propose to integrate several known access control mechanisms such as role-based access control, coalition-based access control, and relationship driven access control into an e-market access control (EMAC) model. 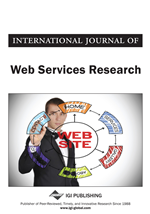 In this paper, we present a web services based architecture for EMAC and the associated concepts and algorithms. We also illustrate via an automotive e-market example how the EMAC model can support e-market access control.